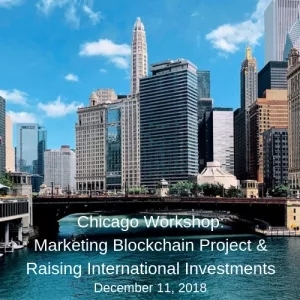 CHICAGO, IL, Oct 27, 2018 - (ACN Newswire) - Marketing Blockchain Project & Raising International Investments Workshop is coming to Chicago on December 11, 2018. The Chicago Workshop is organized by Blockchain China Connect and Artisan Business Group. This interactive marketing workshop for the blockchain and cryptocurrency industry will discuss how to promote your project and facilitate investment capital from across the world, with specific focus on Chinese and Asian investors. Online registration at the event website: www.BlockchainChinaConnect.com.